Seventeen-year-old Haley McWaid is a good girl, the pride of her suburban New Jersey family, headed off to college next year with all the hopes and dreams her doting parents can pin on her. Which is why, when her mother wakes one morning to find that Haley never came home the night before and three months quickly pass without word from the girl, the community assumes the worst. Wendy Tynes is a reporter on a mission: to bring down sexual predators via elaborate—and nationally televised—sting operations. Wendy and her team have shamed dozens of men by the time she encounters her latest target. Dan Mercer is a social worker known as a friend to troubled teens, but his story soon becomes more complicated than Wendy could have imagined. Caught tells the story of a missing girl, the predator who may have taken her, and the reporter who suddenly realizes she can’t trust her own instincts about this story—or the motives of the people around her. International bestselling author Harlan Coben's last seven novels, The Woods, Promise Me, The Innocent, Just One Look, No Second Chance, Gone for Good, and Tell No One have appeared at the top of all the major bestseller lists, including The New York Times, Book Sense, The Times (London), Le Monde, Publishers Weekly, USA Today, and The Wall Street Journal, as well as many others throughout the United States and the world. His most recent book The Woods (2007) was a bestseller on lists across the country including USA Today, Publishers Weekly, The Wall Street Journal, The Washington Post, Chicago Tribune, Nielsen Bookscan and Entertainment Weekly. Promise Me and The Woods were both named one of the best thrillers of the year by Library Journal. Coben's books are published in 38 languages and have 40 million copies in print world wide. His new novel, Hold Tight, will be published in the U.S. on April 15, 2008. Coben's unique take on the American dream has struck an international chord. Bookspan, recognizing his broad appeal, named No Second Chance its first ever International Book of the Month in 2003. 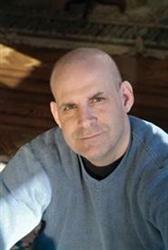 Since 1995, Harlan Coben has won the Mystery Writers of America's Edgar Award, the Private Eye Writers of America's Shamus Award, and the Anthony Award Ð the first writer to win all three. In 2004 he was shortlisted for the Author of the Year Award for the British Book Awards, dubbed "The Oscars of the Book Trade." He was the first American to make the list. Tell No One, Coben's first stand alone novel, was released as a film in France in 2006. A runaway smash, Tell No One has grossed over $32 million in France and Variety called the film, "a sharp, efficient package." Tell No One was directed by Guillaume Canet (Mon Idole), and features an all-star cast including Kristin Scott Thomas (Gosford Park), Nathalie Baye (Catch Me If You Can), and Marie-Josée Croze (Munich). The movie will be released in theaters in the US in the summer of 2008. FOX TV has purchased the rights to Coben's popular Myron Bolitar series for a pilot by Bones creator-executive producer Hart Hanson. 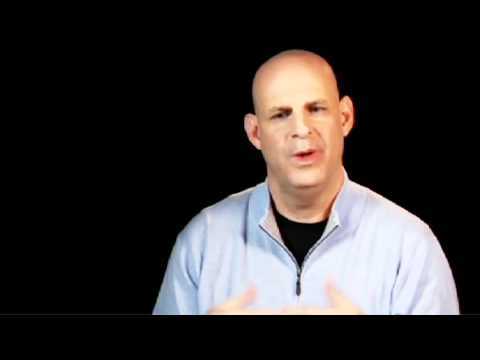 A graduate of Amherst College, Harlan Coben was born and raised in New Jersey, where he still lives with his wife, Anne Armstrong-Coben. Harlan and Anne have four young children and two dogs.